I’ve been reading in Joshua the story of how the Israelites were defeated at Ai, immediately after their resounding victory at Jericho. They couldn’t believe that after such success came crushing defeat. The Lord had led them to defeat Jericho but told them not to take any of the spoils for themselves, because certain items were to be devoted to the Lord. They were explicitly told in Joshua 6:18-19 what the Lord’s command was. But Achan decided to disobey and take from Jericho some of the items which were to be consecrated to the Lord, and his defiance resulted in the death of himself and his family, just as God had clearly told them would happen if they disobeyed. 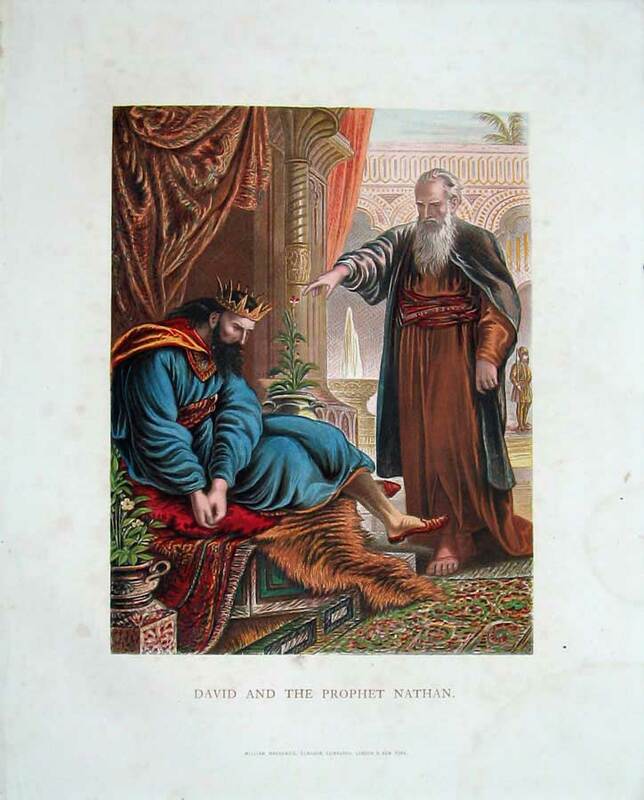 God finds Joshua flat on his face wailing and moping after their defeat and basically tells Joshua he can’t expect to be victorious against his enemy whilst disobedience and defiance run rampant in the camp. However he gives them a chance to put it right and come into communion with him again once the sin was purged from among them. It made me wonder about the sins we try to hide in our own lives, as Achan did, hoping God won’t notice. The things that God can’t bless us in. The things that cause Him to turn His face from us because He is a Holy God. Are we being defeated in areas of our lives and pretending we don’t know why? Are we on our faces crying out to the Lord, “Why me?” when we know we are breaking his commands and breaking His heart? Do we think there are no consequences to our sin? Of course there are. Unless we get before God and confess, seeking his forgiveness, the consequence will be the same as Achan faced. Spiritual and physical death. But our God is as God of forgiveness and if we are truly repentant, he restores us to Himself once again. Each of us may have our own “accursed thing” that is keeping us from a closer walk with God. Have we gone our own way even though He’s blessed us and given us victory in certain areas of our lives? Have we become cocky in our own strength? Do we think we know better and can flout his commands and expect Him to turn a blind eye? When God gives us his Word, and we deliberately disobey it, we have no excuse. We cannot say “but I didn’t know …” because he makes his expectations very clear in His Word. Whether we like them or not is a different matter. We are to be consecrated and set apart, a holy people, not conformed to this world but transformed by the renewing of our minds. What things do we need to fall on our face before God about, sincerely seeking his forgiveness and help? God does not bless us with financial gain, perfect health and a bigger house, just because we’re saved or because we speak it into existence with positive words. He promises us that in the final analysis, all things will work together for good (Romans 8:28) but we’re told we will have trouble in this world. The good news is that Christ has overcome the world. Addressing the hidden sin in our lives is not your guarantee to a happy-ever-after on this earth, but it is the key to a closer walk with your Saviour. It’s important for all of us to turn over to God, those things that we know the Holy Spirit is convicting us of. Flirting with your co-workers is not innocent. Gossiping is not harmless. Arrogance is not becoming. Immodesty is provocative and Jezebel-like. Impatience is not “just the way you are”. Sleeping with your partner just because you’re getting married anyway, is not ok. Seek His Word. Pursue holiness. Obedience brings victory, but defiance brings defeat. Lord open our eyes to the accursed things in our own lives that we may gain favour in your eyes and be close to you once again. Karen Carrey is a 40-something wife and mother of two teenagers. She loves to read, bake, cook, and find like-minded Christian women. She was saved at an early age and continues to work out her salvation with fear and trembling. One of her favorite passages is Isaiah 43:2-4. Karen blogs at Faith and Food Chat. 34 “Then the land shall enjoy its Sabbaths as long as it lies desolate, while you are in your enemies’ land; then the land shall rest, and enjoy its Sabbaths. 35 As long as it lies desolate it shall have rest, the rest that it did not have on your Sabbaths when you were dwelling in it. 36 And as for those of you who are left, I will send faintness into their hearts in the lands of their enemies. The sound of a driven leaf shall put them to flight, and they shall flee as one flees from the sword, and they shall fall when none pursues. 37 They shall stumble over one another, as if to escape a sword, though none pursues. And you shall have no power to stand before your enemies. 38 And you shall perish among the nations, and the land of your enemies shall eat you up. 39 And those of you who are left shall rot away in your enemies’ lands because of their iniquity, and also because of the iniquities of their fathers they shall rot away like them. 2. What does God require of Israel in verse 3, and what does He promise them in verses 4-12? 3. What does verse 14 say Israel might do that would bring about the consequences mentioned in verses 15-39? What are those consequences? 4. What is this type of agreement between God and His people called (42, 44,45)? 5. Does God promise us today these same types of blessings for obedience and punishments for disobedience? This week, we started a new study. We will be reading through the entire Bible in 2014 using “Back to the Bible’s” chronological reading plan (reading Biblical events in the order in which they actually happened). 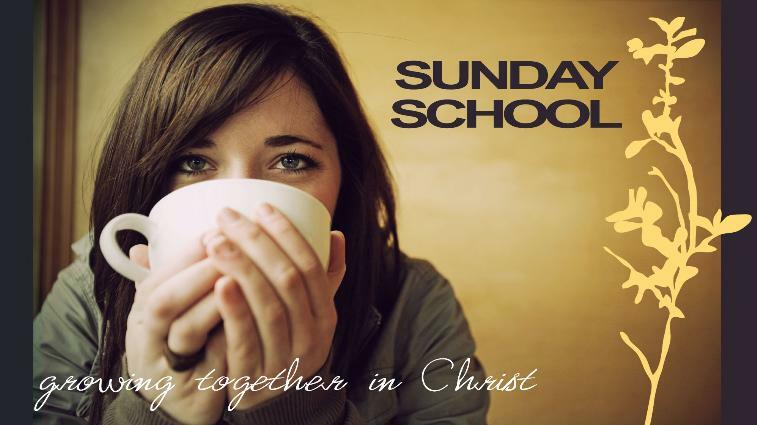 Each Sunday’s lesson will cover a story(s)/event(s) contained in the previous week’s (Sun. – Sat.) reading. What is obedience? (Deuteronomy 15:5) Obedience is simply doing what God commands. Bringing our lives/behavior/hearts in line with what God tells us to do. Why are we to obey God? (John 14:15, 21, 23-24, 1 John 5:3) We do NOT obey God’s commands in order to get to Heaven or to balance out our sin. Our obedience shows that we are already saved because it springs from the love and gratitude in our hearts to Christ for saving us from our sin. Flee from, don’t flirt with, temptation. (Genesis 3:1-5) Eve didn’t flee temptation, she stood around, had a conversation with it, and let it convince her. Your disobedience doesn’t just affect you. (Genesis 3:6-24) Eve’s sin caused Adam to sin, which caused the whole world to sin for every successive generation. Your sin can have far reaching effects. Sin snowballs. 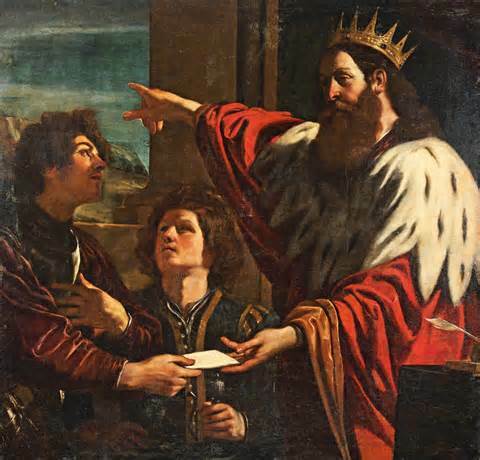 (Genesis 4:1-16) First Cain disobeyed God’s parameters (not stated in Genesis) for offerings. The root sin of this was rejection of God’s authority. God didn’t have the right to tell Cain what to do, he’d do it his own way. This led to anger (not grief, shame, or repentance at his disobedience—anger) at God for rejecting his offering. His anger was rooted in the sin of mischaracterizing God as unfair or wrong. Anger led to murder, then murder led to lying to God to cover it up. God graciously warns us about disobedience. (Genesis 4:7) He’s such a good God, that just as He warned Cain of the consequences of disobedience, and that he needed to avoid temptation, God gives us a Bible full of examples of the dire consequences of disobedience, culminating in the death of Christ to pay the penalty for sin. We must obey God even if it’s hard, we don’t want to, or it doesn’t make sense to us. (Genesis 9:1,7; 11:1-9) After the flood, God told Noah’s family to spread out and fill the earth. 11:4- They wanted the exact opposite. They were supposed to bring glory to God’s name, but they wanted glory for themselves. God is sovereign and will have His way despite our disobedience. (Genesis 11:8-9) Nothing, including our disobedience takes God by surprise or thwarts His plans. Obedience isn’t always a grand gesture. Obedience in the “small” things is just as important to God. (Genesis 4:1-16) If it weren’t for Cain’s disobedience, we probably wouldn’t know about Abel’s obedience. How many times that weren’t recorded had he obediently offered a sacrifice? Abel’s obedience is the true hero of this story, yet he’s little more than a bit player. He simply and quietly obeys God, and God “has regard” for his offering. Faith in Christ and love for Him are what motivate obedience that is pleasing to God. (Hebrews 11:4) Not fear of punishment, not grudging legalism. Obedience is to be a day by day, continual practice. (Genesis 5:22-24) “I’ll obey when I feel like it, when it’s convenient, etc.,” is totally foreign to God’s definition of obedience. 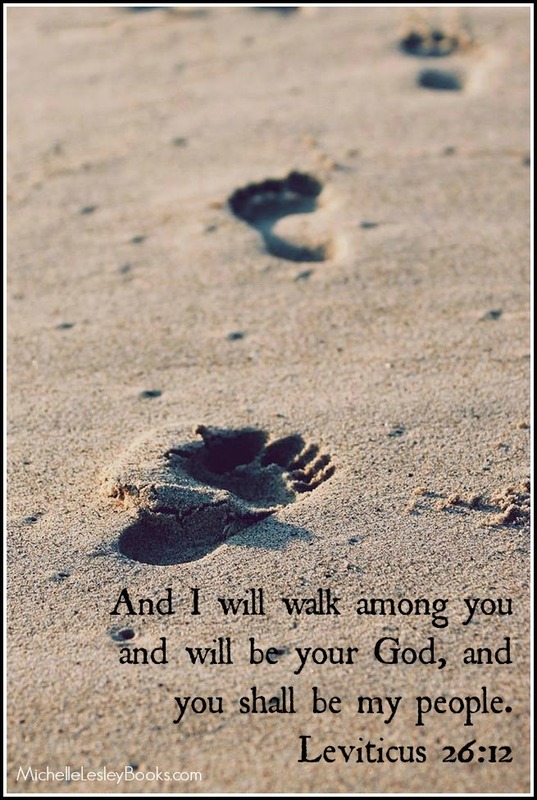 In some stories we see special “big” acts of obedience, but in Enoch’s life we see a steady, daily walk with God. That is the type of story most Christians will live out. God rewards obedience. (Genesis 5:24, Hebrews 11:5) Possibly materially, definitely spiritually. God requires our obedience even if everyone around us disobeys. (Genesis 6:5-8) Noah (and his family) was the only one on EARTH obeying God. Had he chosen a life of rebellion like the others, he would have died like the others. The world will often respond negatively to our obedience. (Genesis 6:5, John 15:18) “…every intention of the thoughts of his heart was only evil continually.” That’s not a heart that loves and embraces the things of God. John 15:18: “If the world hates you, know that it has hated me [Jesus] before it hated you.” Just as the world hates God, so, when we display His truths in our lives, they will also hate us. Obedience and faithfulness does not guarantee health, wealth, or smooth sailing. (Job 1:8-19) Job was the most blameless and upright guy on earth, according to God, and for God’s own purposes, not to punish Job for disobedience, He took away all the good things in his life. We obey God even in the most difficult circumstances (Job 1:20-22) Even in times of extreme difficulty, we worship, we obey, we don’t charge God with wrong. Because God doesn’t owe us material goodies or positive circumstances as payment we earn with our obedience, neither can we “quit our job” of being obedient when tough times come. God may be trying to bless us with something even more valuable: knowing Him more closely, feeling His comfort, maturing, leading someone to Christ, taking us home to Heaven, etc.